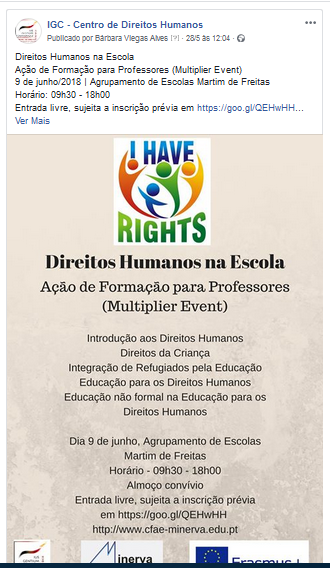 Publication and invitation to the portuguese multiplier event "Human Rights in Schools" to be held on 9th June at the Martim de Freitas school, in Coimbra. This event aims at reinforcing teachers' competences in the area of Human Rights Education and Multiculturalism at school. School directors, teachers and others were publicly invited to participate in this event.